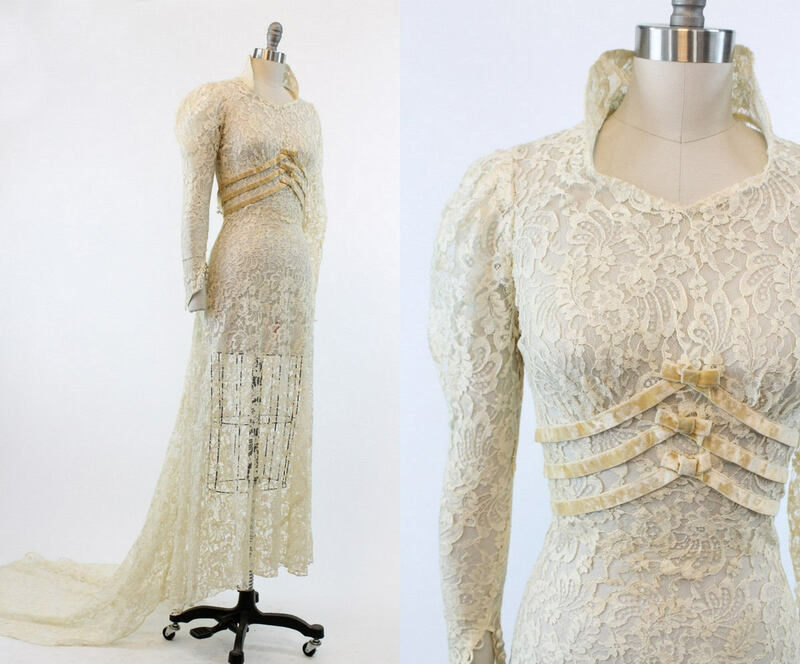 Stunning 1930's wedding dress! Done in an ivory lace with velvet ribbing and bows on the bodice. Leg-o-mutton sleeves with covered buttons up the wrists. Amazing popped collar look, covered buttons travel from the base of the back all the way to the top of the collar, creating a statement neckline. Unlined. Condition: Excellent Vintage: very very minor color changes in velvet, only noticeable upon close inspection. Bust (underarm seam) : 30"